Ça marche du tonnere | One quality, the finest. 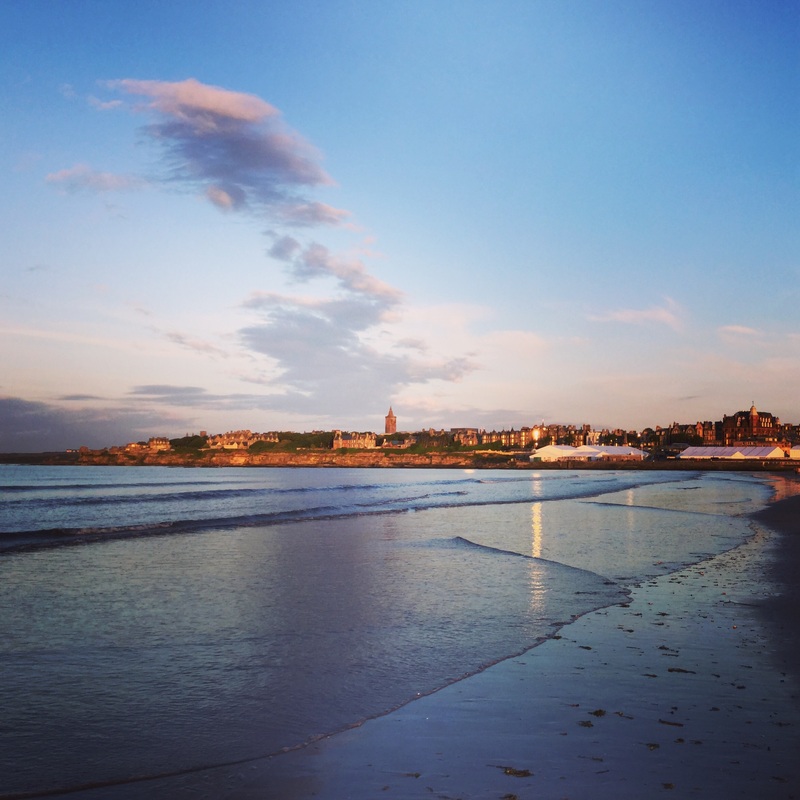 I’m afraid to jinx everything by putting it in writing, but the summer program where I’m currently working in St Andrews, Scotland is going incredibly smoothly. The way to say that in French is ça marche du tonnere (sah marsh due ton-air), which literally means , “it works/goes like thunder.” In the much larger Paris program where I normally work, I’ve seen it all: fish tanks thrown off of balconies, thefts on the subway, and flashers in the street. Here in St Andrews, the students delight in innocent games like a bizarre one that involved making pterodactyl noises at one another (don’t ask me why, but this had twenty kids splitting their sides). “Introduction to crochet” was hugely popular, including one lad who thought he was arriving for an introduction to croquet. Last night, I was coming back to the dorm after a walk on West Sands (where I took the photo, above) when I discovered a group of students engaged in piggy-back jousting of sorts on the Old Course. It’s just delightful and I hope it continues to marche du tonnere until July 11! This entry was posted in French Vocabulary, Idioms and tagged Ça marche du tonnere. Bookmark the permalink.